The model - news of this model first appeared on the Hong Kong Model Co. website on 22nd March 2009. It is believed the model was released on 29th March. 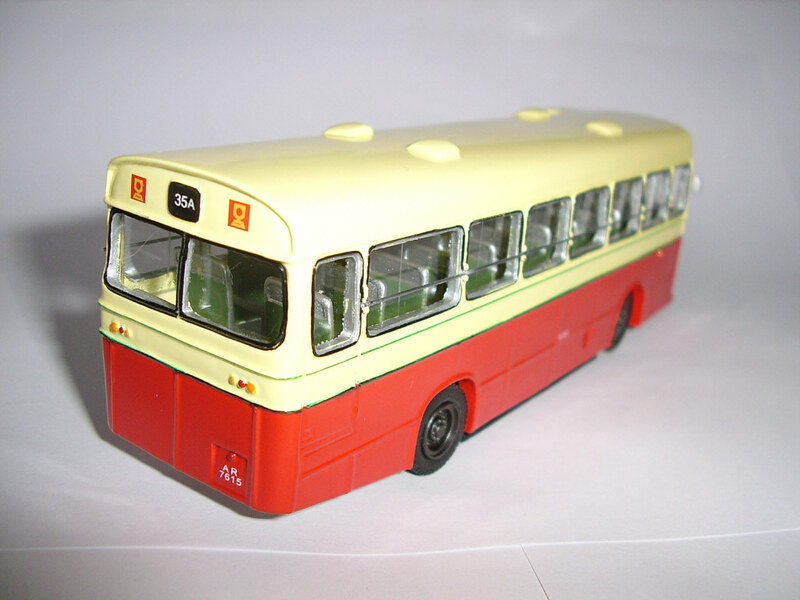 The bus - with a shortage of vehicles, KMB took delivery of 100 standard UK Seddon Pennine 4s between 1970-1972. The only modification was the fitting of sliding side windows. The lack of front opening windows proved unpopular and by 1975 vehicles were being fitted with new 'front-ends'. 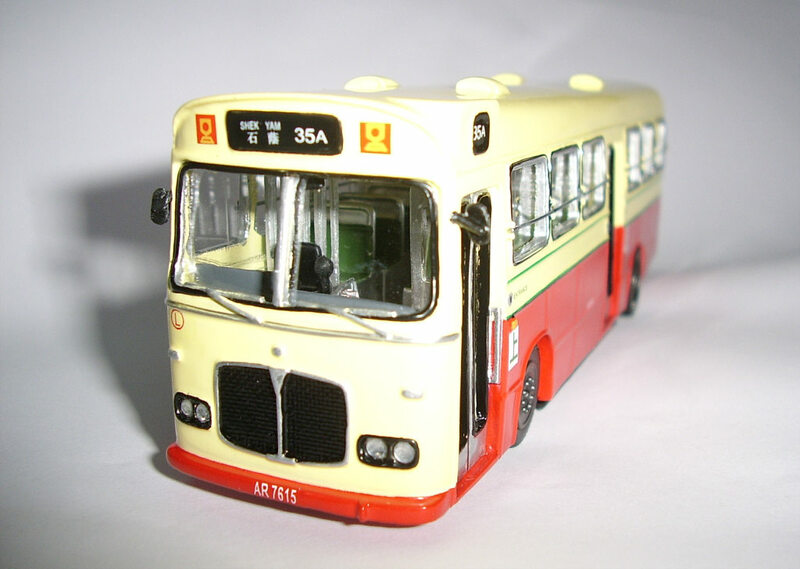 Many received other modifications, and AR7615 was converted to a coach, receiving an AEC style radiator grille and twin headlights. Its centre exit was also removed. Strangely enough, it never operated as a coach and was converted back to a bus, having had its centre exit reinstated. These vehicles are superbly illustrated in Mike Davis excellent book 'Hong Kong Buses - Volume 2 - Kowloon Motor Bus', from which the aforementioned has been extracted. Published by DTS Publishing.